Acne is one of the most common skin problems, affecting patients of all skin types and ages. When excess oil and dead skin clog and block hair follicles, it encourages the growth of bacteria that cause breakouts. Acne treatment is very important for several reasons. It temporarily affects your physical appearance, and can also cause permanent scarring if deeper cysts are left untreated. 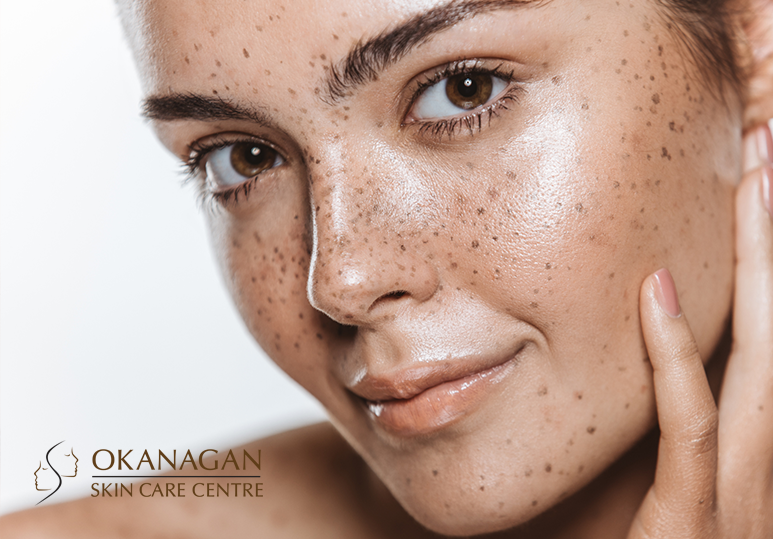 At our Kelowna skin clinic, we offer effective, customized acne treatments such as chemical peels and microdermabrasion to quickly and safely clear up your skin. At our Kelowna skin clinic, we offer fast and effective acne treatments to help our patients achieve healthier, glowing skin. 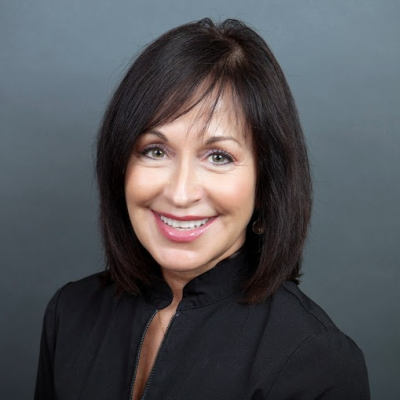 Using the VISIA Digital Analysis System, we can develop customized treatments based on your unique skin type, medical history, and lifestyle for effective and long-lasting results. Depending on the severity of your acne as well as your specific aesthetic goals, our skin clinic offers chemical peels, laser, and microdermabrasion for dramatic results. One of the most effective acne treatments available is a chemical peel. During this cosmetic procedure, a chemical solution is applied to the treatment area, removing scarred skin cells and allowing healthy cells to replace them. Depending on the severity of your case, a light, medium or deep chemical peel may be used in combination with topical treatments and a skincare regime to optimize the improvement of your skin. Microdermabrasion acne treatments are a great option for eliminating blackheads, whiteheads, and hyperpigmentation as well as improving skin texture. This cosmetic treatment can be used most successfully to treat mild, non-inflammatory acne and provides an excellent alternative or addition to chemical peels to give you clear and beautiful skin. At our Kelowna skin clinic, we use the advanced DiamondTome microdermabrasion system. Our specialists use a diamond-tipped wand instead of the more abrasive crystals to gently exfoliate the top layer of dry, dead cells to reveal more vibrant, healthier looking skin. V-Beam Laser is an effective, non-invasive cosmetic treatment that reduces or removes any redness in the skin that comes as a result of acne. In some cases, even though acne has healed, it leaves red spots which are a result of broken blood vessels. V-Beam laser technology can be used to shrink these broken blood vessels to help restore the skin's natural color. At our skin clinic, we use customized V-Beam laser treatments to reduce red spots caused by acne and to help return your skin to its smooth, clear and consistent complexion. 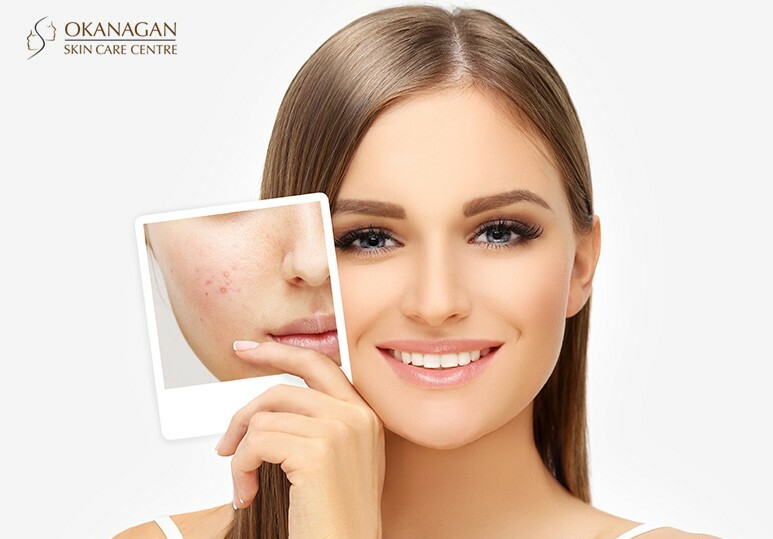 To learn more about the effective, personalized acne treatments at our Kelowna skin clinic, contact our skin care specialists today at 250-868-9290.